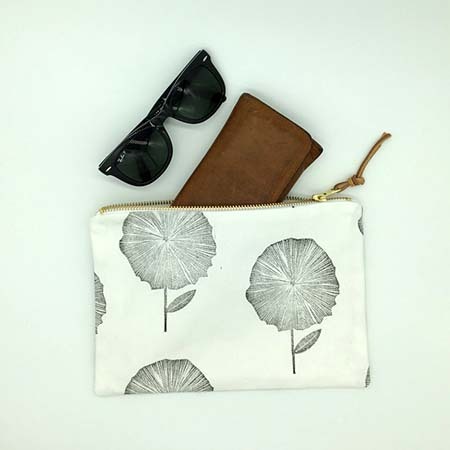 The flower clutch is a gorgeous handcrafted addition to your wardrobe. It features hand block printed cotton with a gold zip and genuine leather tag to add some sparkle and natural feel to your day or night. 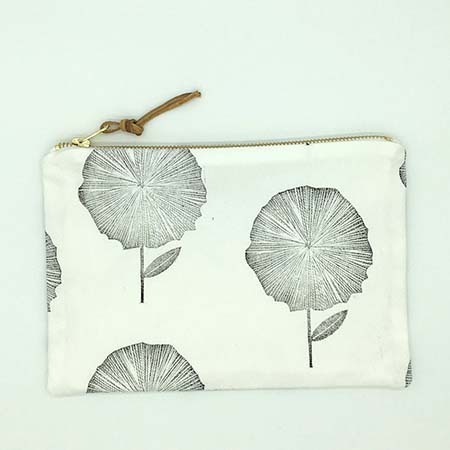 Hand block printed 100% white or oatmeal cotton, with a 100% white cotton lining. Machine sewn with a gold YKK zip closure. Cold wash with like colours and a mild detergent with leather removed. Steam iron while slightly damp. Includes pouch only and not the other items used in the photographs. Copyright © KAMERS Online Store 2019 | Our Terms. 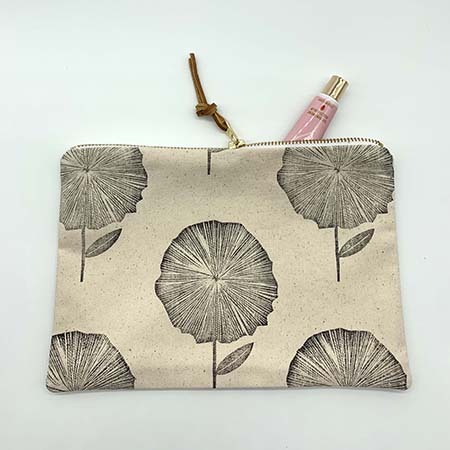 Notify me when Flower Clutch - White Flower clutch is available.